As an added bonus, 50% of your ticket price is tax deductible ($10 per ticket). This fund raising event will benefit our Capital Campaign fund which will increase our capacity of housing 60+ men to over 100. For film and production information please reference our Soul’s Harbor Events page. 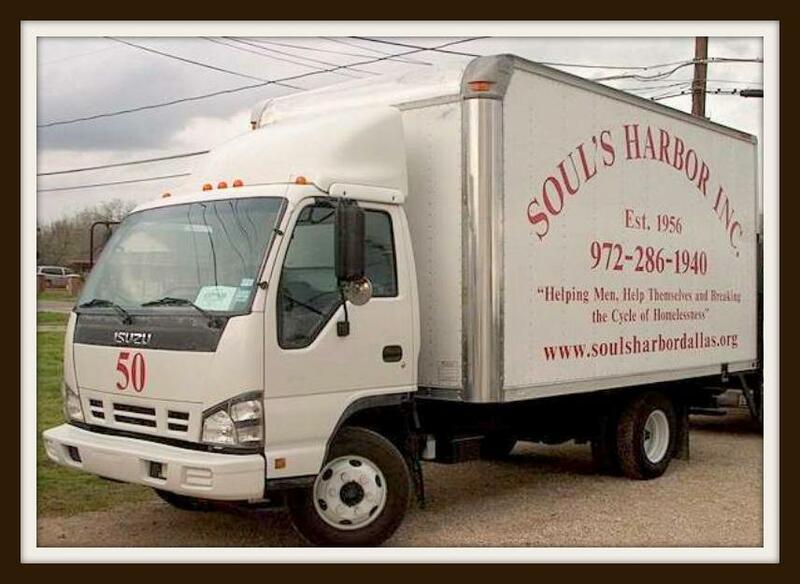 This month, Soul’s Harbor celebrates its 61st anniversary. In August of 1956, our great founder Jake Stembridge with the help of Ralph Whittle started Soul’s Harbor. Pictured above are Jake’s granddaughter, Jake’s great grandson and Jake’s great-great granddaughters. In the back row is Danny and Justin (Justin is a great grandson of Jake). In front of Danny is his wife Connie who is the granddaughter of Jake. Next to Justin is his wife Tanya. In the front row is Kendra and Kailey who are the great-great granddaughters of Jake and daughters of Justin and Tanya. They came all the way from Alberta, Canada to visit Soul’s Harbor. 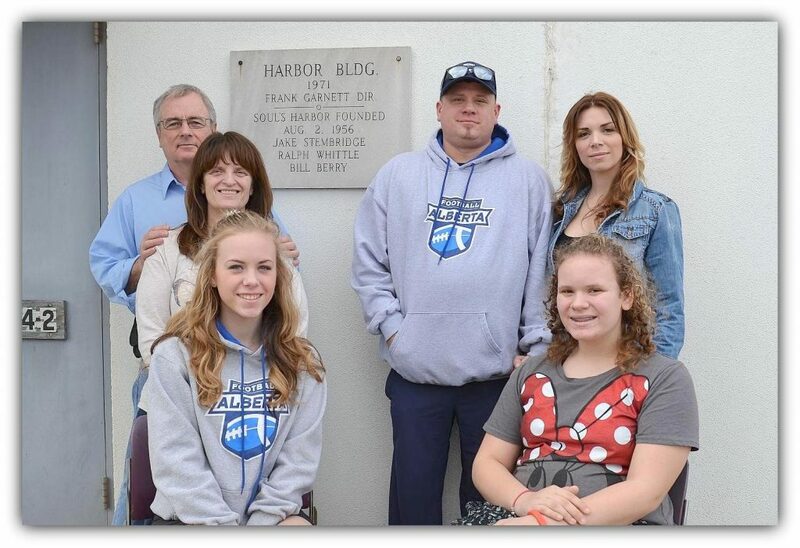 A Big Soul’s Harbor “Thank You” to Jake’s family for visiting Soul’s Harbor. Thank you so much for your financial consideration. Note, your tax-deductible contributions may also be submitted through PayPal to gro.s1555901034allad1555901034robra1555901034hsluo1555901034s@eta1555901034nod1555901034. *Please note: Users of Internet Explorer 8 and above may experience difficulties with our PayPal “Donate” button. Please access PayPal directly to make a financial contribution to Soul’s Harbor, Inc. Thank you!